July 16: The journey begins! Our tour will officially begin in Rochester, New York. 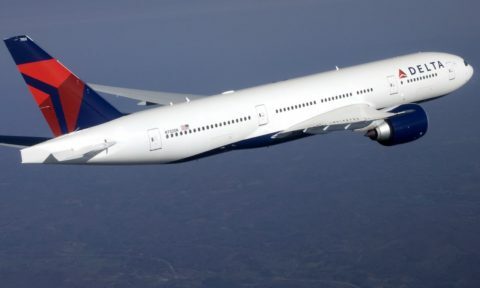 For those of you flying from Salt Lake City, we will meet as a group at the airport for our flight. For those who are traveling from somewhere other than Salt Lake, we will make arrangements to meet you at the airport in Rochester. From the Rochester airport, we will travel as a group directly to our hotel. Each youth will be responsible for their own lunch while we are traveling. After dinner, we will hold a devotional and a preview of our upcoming trip. We will probably have enough time tonight for some group games or swimming. Prior to departure, we will email some suggested General Conference talks that will help prepare us for the experiences we will have during our tour. July 17: We will spend the whole day in Palmyra! 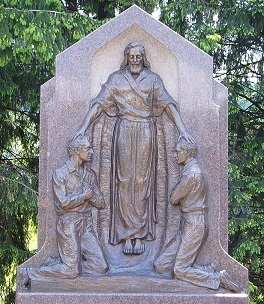 Our stops today will include the Sacred Grove, the Smith Family Farm, the rebuilt Smith log home (where the Moroni visits took place), the Hill Cumorah, the Grandin Press (where the Book of Mormon was first published), the Martin Harris Farm, the Palmyra Cemetery, and the exterior of the Palmyra Temple. We will attend the Hill Cumorah Pageant tonight! 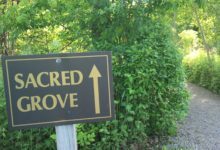 July 18: Our day begins with a testimony meeting in the Sacred Grove. 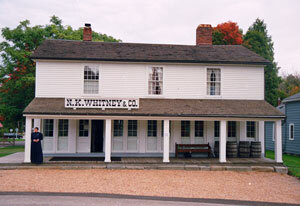 Then, we will travel to Fayette, New York and visit the Peter Whitmer Farm. This is where the Church was officially organized. From these humble beginnings, the gospel is spreading forth throughout the world. We will then travel to Harmony, Pennsylvania and to the Susquehanna River where the Priesthood was restored. The church has recently renovated the area around the Susquehanna River. 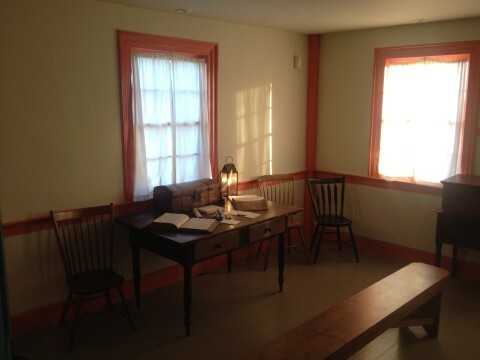 Joseph and Emma’s home has been rebuilt, statues and markers have been placed on new paths throughout the surrounding groves, and a new Visitors’ Center is now available. July 19: We depart from the Church History sites today to learn about our nation’s history. However, our focus over the next two days will be in recognizing our Heavenly Father’s hand in establishing America for the purpose of the Restoration. 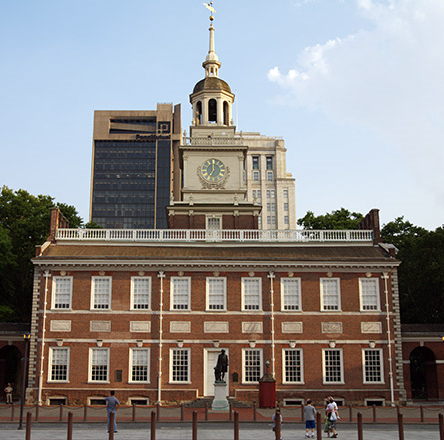 Our visits today include Independence Hall and the Liberty Bell in Philadelphia, Pennsylvania, and the exterior of the Washington DC Temple. July 20: Our love for America and an appreciation for the freedoms we enjoy will be enhanced as we spend the day in Washington DC. We will continue to learn about Heavenly Father’s purpose of establishing America for individual freedom and as a place where the gospel could be restored. Our day will start at Arlington National Cemetery where we will witness the changing of the guard at the Tomb of the Unknown Soldier. We will also visit the Lincoln Memorial, the Washington Memorial, war memorials, and the Smithsonian Institute Museums. 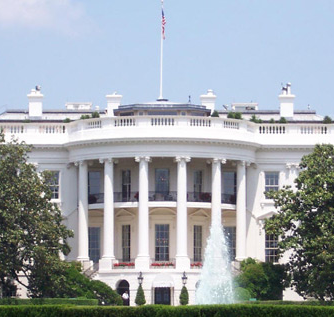 We will also visit the exterior of the White House, the Capital Building, and the Supreme Court. July 21: Our day begins by attending Sacrament meeting with a local ward. We will then continue on to Hiram, Ohio and visit the John Johnson Farm. It was here that Doctrine and Covenants Section 76 was received. Joseph and Sidney saw the Celestial Kingdom, the Father and the Savior, and many other things in the upper room of this home. This is a very sacred place. We will then continue on to Kirtland! 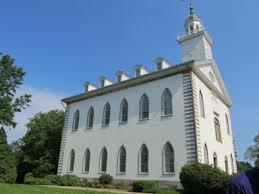 There will be time to visit the exterior of the Kirtland Temple before dinner where we will learn of the sacred circumstances surrounding the building and dedication of the temple. July 22: Our whole day is spent in Kirtland! While dedicating the historical sites in Kirtland, President Hinckley included in the prayer, “In no other area of the Church was so much revelation received. In no other place was Thy Beloved Son so revealed to mortal man. In no other place was there such remarkable manifestations given to so many”. Our day will include a private tour of the Kirtland Temple and visits to the Kirtland Visitors Center, the Newell K. Whitney home where Joseph and Emma lived, the Newell K. Whitney store which includes the School of the Prophets and where many revelations (including the Word of Wisdom) were received, the John Johnson Inn where the Church periodical The Evening and Morning Star was published, the reconstructed Kirtland Schoolhouse, the Kirtland Ashery and a reconstructed water-powered sawmill, the exterior of a home belonging to the Prophet Joseph Smith, and the Chaplin Forest Stone Quarry where much of the stone for the Kirtland Temple was obtained. July 23: Today our bus will transport us from Kirtland, OH to Nauvoo, IL. 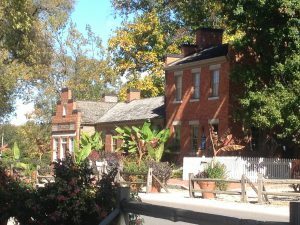 We will have several hours to tour the historic sites and homes of Nauvoo including Joseph Smith’s home and grave site, the Red Brick Store, the Visitors’ Center, the Women’s Statue Gardens, the Seventies Hall, Brigham Young’s home, Wilford Woodruff’s home, Heber C. Kimball’s home, and many other historic sites. Tonight we will attend the Country Fair and the Nauvoo Pageant. July 24: Our full day in Nauvoo will be spent visiting the historic sites and homes with tours being given by set apart missionaries. We will see the sites we missed yesterday, plus many more. We will also attend the stage production of The Promise. 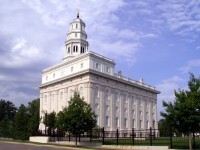 Later this afternoon, we will have a special devotional near the Nauvoo Temple before attending the British Pageant. 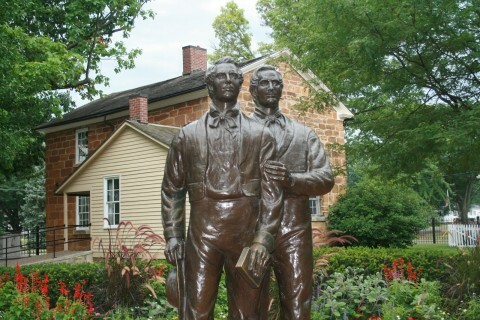 July 25: This morning we will visit Carthage Jail where Joseph and Hyrum sealed their testimonies. Then it is back to Nauvoo for a walk down the Trail of Hope. This is the street that the Saints walked just before crossing the Mississippi River. It was here that the Pioneers took their first steps toward the Salt Lake Valley. Later, we will attend the outdoor stage production of Sunset on the Mississippi. July 26: Today we will start the Missouri portion of our trip. We will have a picnic lunch at Adam-ondi-Ahman and discuss the great future Sacrament meeting which will be held there. 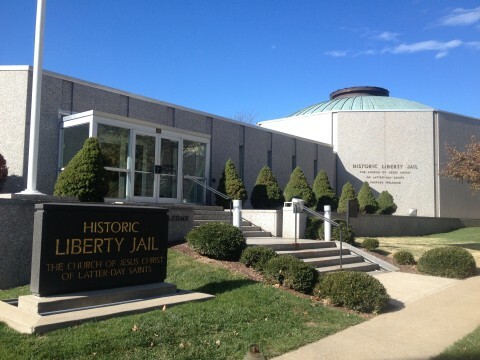 We will then travel on to Far West, the LDS Visitors’ Center and reconstructed Liberty Jail, and finally the LDS Visitors’ Center in Independence. As we travel between these sites, we will listen on the bus about the Missouri era of the church, the Mormon Battalion, Zion’s Camp, and the pioneers. Lunch and dinner will be provided by Living Heritage Tours today. July 27: After breakfast at the hotel, we will transfer to the Kansas City airport for our flights home. Each hotel offers a complimentary hot breakfast, 2 queen beds in each room, swimming pool, and jacuzzi. Each day will be full of historical stories and details. Each night will include devotionals, testimonies, and games. All meals are included each day. Space is limited and will sell out very soon.